Does anyone have a source to purchase the small diameter cloth sock which surrounds the 1/4 brass 18" long tube which goes from my Rochester 2 GC carb bi metal choke to the exhaust manifold? 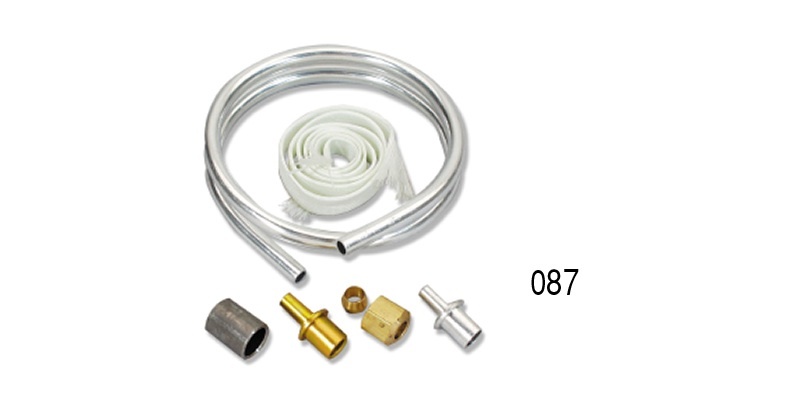 Danchuk part # 087 .... Link to choke tube kit. The spck was not a Chevrolet item. If all is correct it is not necessary. I am very sure my car had the sock when it was 7 years old as I remember it as a child. My parents bought the car new. I assumed it was standard equip, but maybe my dad added the sock early in the car's life. Someone told me once the sock was a regional item sort of.....used more in the colder climates to insulate the tube better. I have 1 or 2 I bought several years ago repop. If you decide to sell one, let me know a price and the length & approx. inside diameter of it (I think it is 1/4 inch). Ecklers has one listed on eBay, and it is on their website. They list the app as '58-'64. I found my uncut one....looks like the one they're selling with the dipped ends to prevent unraveling. It is 15" long. thanks, I had no idea that Eckler's would have it. I have a feeling that the originals were made of asbestos. It would make sense for the times as it was cheap. Maybe the new ones are figerglass? Not sure.